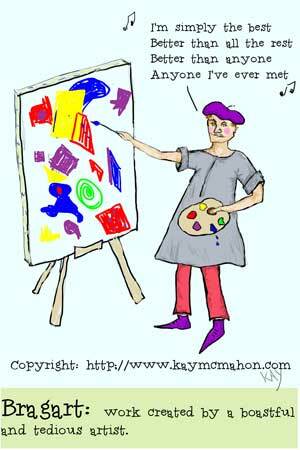 Here’s a quick list of five fantastic free resources for artists. This is open source software and, as such, is free to use. I thought it looked pretty good, although I haven’t tried it because I’m happy with PhotoShop. Unfortunately, they don’t have a Mac version available yet, but you can have a look in their gallery for examples of what people have done with it. It’s unlikely I could be enticed away from PhotoShop, it’s such a powerful piece of software for less than ten bucks a month – what’s not to like? But Krita could be a valuable alternative for those who don’t want the expense, or the more creative types among you might like to give it a try just for fun. For those who like to explore and try new things, here’s a fantastic list by Creative Bloq with 56 sets of free PhotoShop brushes. If you like discovering new things and making the most of PhotoShop, you’ll be like a kid in a sweet shop with this lot. Enjoy! Here’s a site with lots of how to draw and paint (including digital art) tutorials. Some of these require you to purchase a membership, but many of them are free. I particularly like the free tutorial about creating custom brushes in PhotoShop. The site is worth a look around anyway, even if only for ideas. Here’s a super big list of places you can sell your art. I haven’t yet checked them all out but the random sample I looked at seemed pretty good. It’s a good starting point anyway if you’re planning to sell some of your creations. There’s always lots going on at this site and it’s mostly free. (They sell some books.) There are tutorials, demos, lessons and a free forum. Dig in and explore because, after all, art is fun! By the way, please excuse the cartoon at the top. It was my entry for a competition where we had to draw a cartoon for the theme “boastful and tedious”.